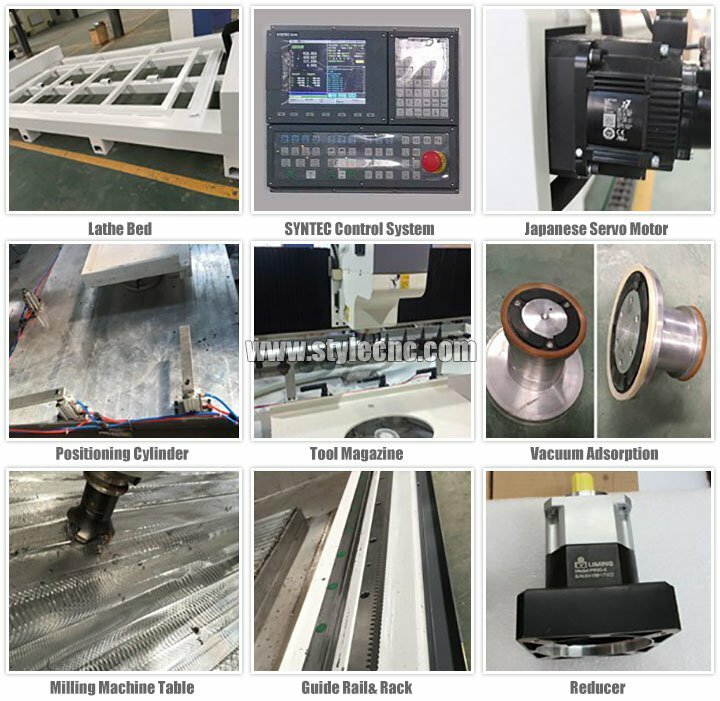 CNC stone cutting and polishing machine STS3113 is designed for cabinets artificial stone, quartz stone, granite, marble, carving, cutting, polishing, drilling, engraving. 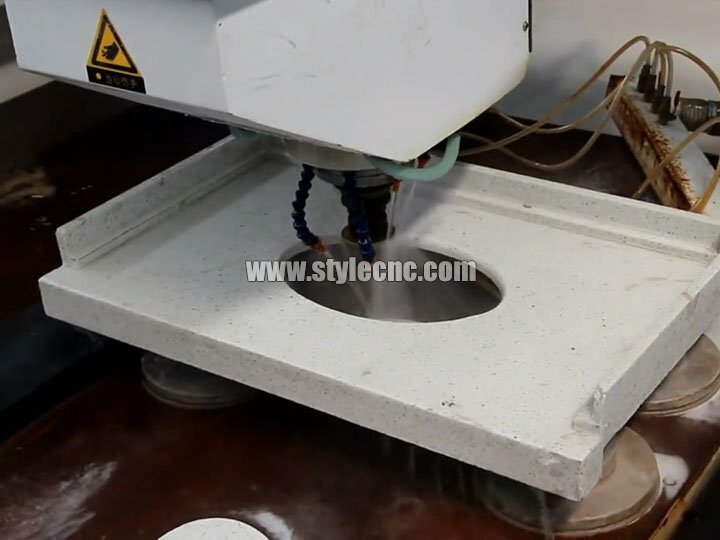 Now the affordable CNC stone machine for sale with best price. 1. 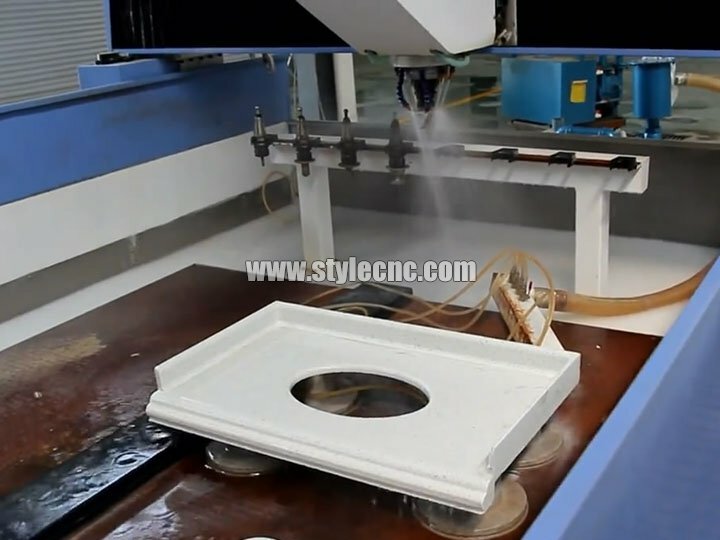 CNC stone cutting and polishing machine is researched and developed by our company independently. 2. 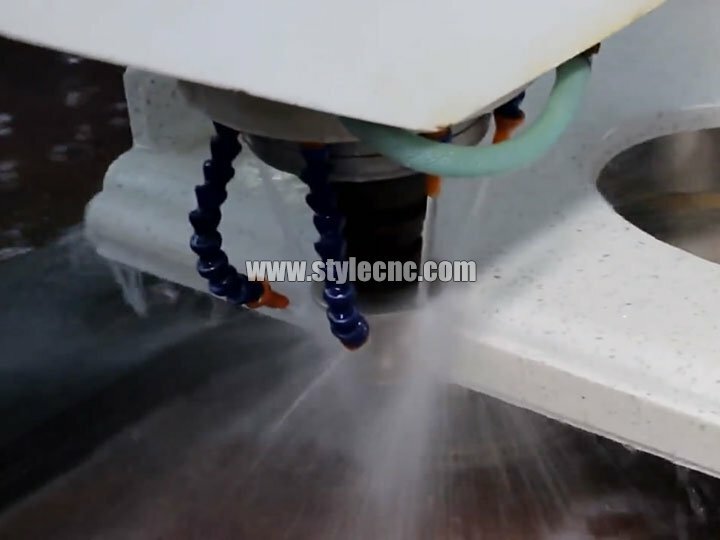 CNC stone cutting and polishing machine can do many process such as polishing for back splash ,former anomalous edge, cutting and polishing water tap hole through the automatic tools changing. 3. It’s high efficiency and low cost. 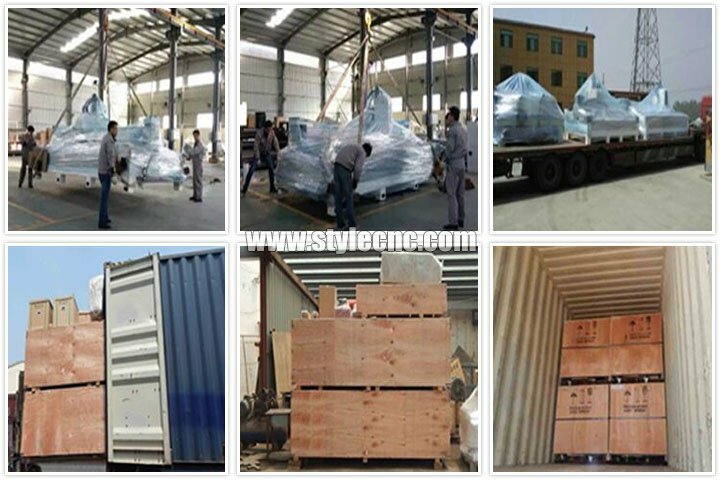 For example, it just takes 30 minutes to auto-processing 2.44*0.75m quartz stone board. 4. 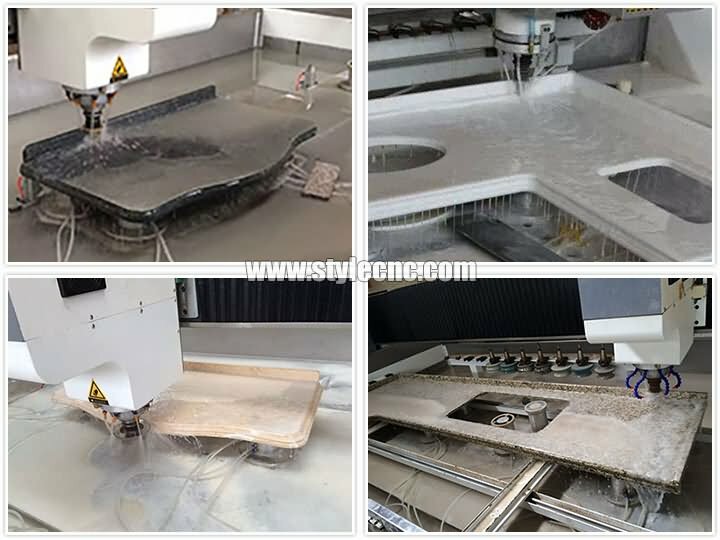 CNC stone cutting and polishing machine can also be used for processing washing pool and European background wall.To process high-quality products,this model is a necessary equipment for the well-known brand who process counter-top. 5. The software: for UncGraphics. NX3.0, Mastercam9.0 other software, set the CAD / CAM as a whole, through digital analysis, design, the product was processed to support procedural pre / igs / scep / dxf / dwp and other documents. 6. The ATC system: vertical-type ATC system makes the whole process from the hole, cutting, shaping and polishing to a variety of milling processes go, the full realization of a high degree of automation. 7. The tool and abrasive: with a large number of imported and domestic variety of tool and abrasive and shapes, and a variety of processing requirements. 8. High-precision screw and guide: the use of screw, guide renowned German manufacturer has provided. 9. X, Y axis using the original oil-immersed lubrication. Coupled with effective waterproof, dustproof structure to ensure high precision machining and screw maximize service life of the rail. 1. It is suitable for cabinets artificial stone, quartz stone countertops, granite, marble and sink. 2. European style edging, other heterosexual stone, ceramics, glass and ceramic stone drilling, sanding, edge down, carving, cutting, polishing, engraving. 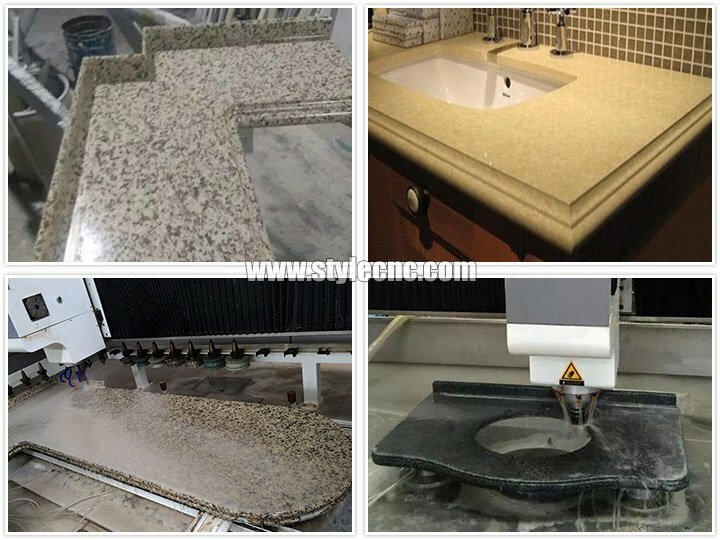 License: The text of "CNC Stone Cutting and Polishing Machine for Quartz, Granite, Marble" by STYLECNC is licensed under a Creative Commons Attribution 4.0 International License. 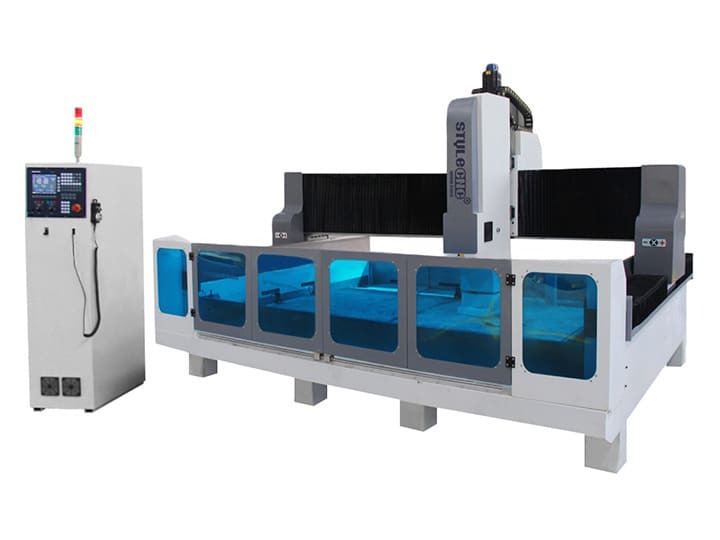 I was looking for a CNC stone machine that was big enough for the projects I am working. This product is just as sturdy as it looks in the pictures. I had it operate the same day I received it. The machine was more than I had expected. Note: This CNC was packaged well with all pieces intact.